It's been a hectic summer with my wife and I getting our living room remodeled. We added a wall to the living room and created an office for me that attaches to my work room. Very nice. Good luck with the business. My dog would have a field day with all those sheds. Chews them down to nothing. Looks great. Some of those horns would look good in an old bushel basket. 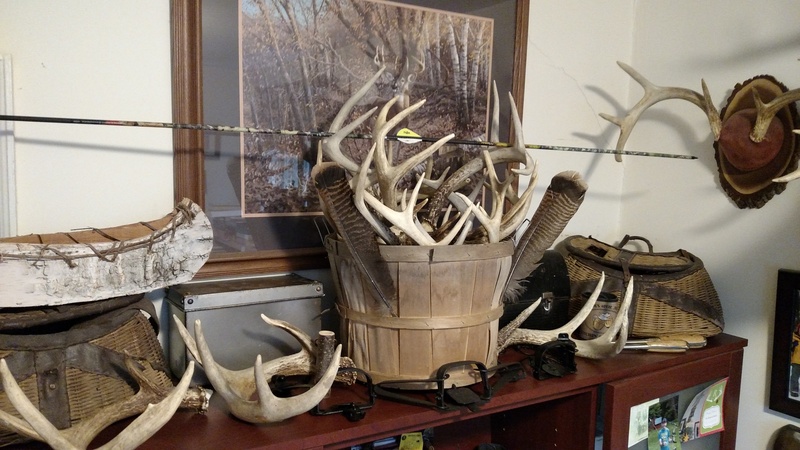 I have some of my old racks displayed this way on my desk....although you might want an old wine barrel for the size of the racks and horns that you've got. 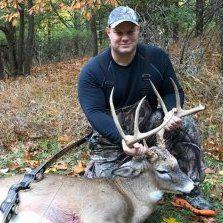 Will you be posting your rates...and are you only doing deer for the upcoming season or other animals as well. I may throw a coat of poly on it. I'm thinking about doing a wall in the other room with it too...it's not cheap though! Thanks. 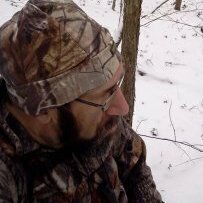 Just doing deer for now!!! I'm not posting any rates as I don't know the policies of this site. Any one interested can PM me. Very nice! I used t111 to give a rustic look. Your shop looks clean n professional. Same for your work. Best of luck! I see Mr. Robin Hood paid a visit! Nice, I never even noticed that!! !